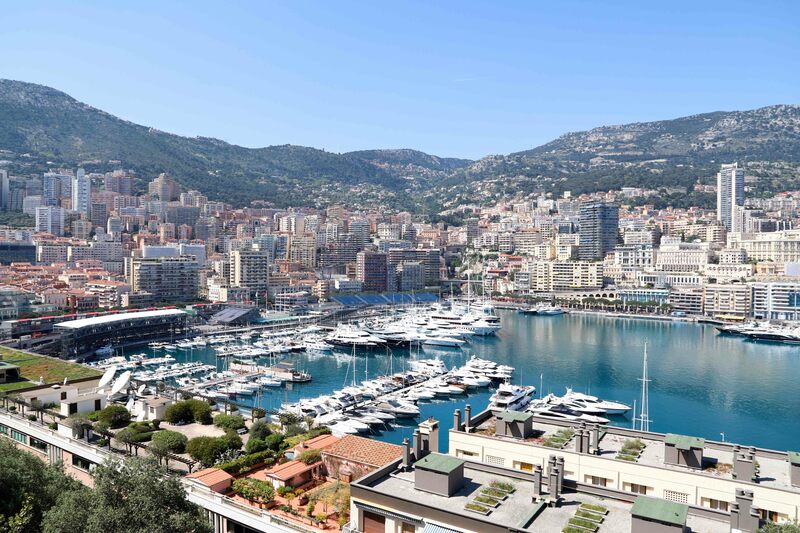 Want to experience the culture of Monaco? Want to take a trip down memory lane in Monaco by visiting some of the museums in Monaco? 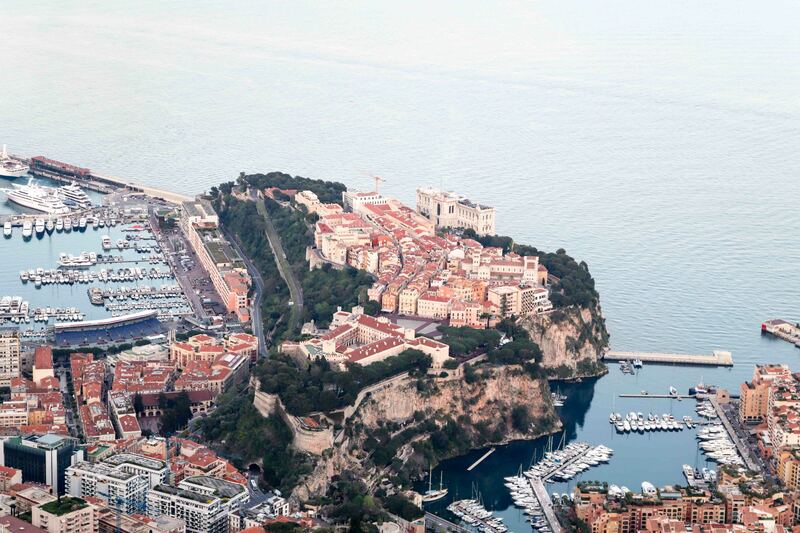 Monaco’s history is long and rich. The small city-state also has, despite its small size a rich culture. Monaco proudly bears a reputation of glamour luxury, and wealth, but with that, something that almost falls in the shade of Monaco’s glamorous reputation is its culture and the museums in Monaco. Monaco is mostly famous for its Grand Prix and its casino, but the principality, with its rich and unique history, also has numerous interesting museums well-worth visiting. There are a number of museums in Monaco of different types. This is great news as it means that there is a museum suitable for everyone, no matter what you’re interested in. In this article, we’ll share a list of the top most popular museums in Monaco. This is one of the most popular and well-reviewed museums in Monaco. Prince Rainier III began collecting old cars at the end of the 1950s, and this is a collection which the museum was based on today. Over the years, the car collection of Prince Rainier III grew larger and larger, adding new, unique, and rare cars that you certainly don’t see out on the street very often, many of which never. As the car collection of Prince Rainier III gradually grew, the garage located at the Prince’s Palace was soon too small to contain all of the around hundred cars of many different types – from sports cars, Formula 1 cars, and old classic cars. As a result of the limited space in his garage, Prince Rainier decided to make his car collection open to the public, and in 1993, the private car collection of H.S.H. Prince Rainier III opened. The car museum is situated on the Terrasses de Fontvieille, the older part of Monaco. The museum is situated in a ”room” of 5 000 m2 and is a highly unique museum in the world. There are endless jaw-dropping cars here of different nature, and even if you are not a crazy car fan, it is very interesting to experience the history through cars. In the collection, you’ll also find many iconic cars which have been used on special occasions. Two examples are the LEXUS used for the royal wedding in 2011, and of course, some of the Formula One cars which have been used at the Formula 1 races in Monaco. Opening hours: Open 7 days a week, from 10 AM to 6 PM (closed 25th of December). This is one of the most iconic Monaco museums. The Oceanographic Museum is the Monaco museum which attracts the most tourists every year, not only because what it has to offer is very interesting, and the collection of sea fauna species is unique to the world, but also because the building in which the museum is situated in is absolutely incredible. The stunning Oceanographic Monaco museum building is built in a Baroque Revival architecture and has a beautiful façade right above the sea. 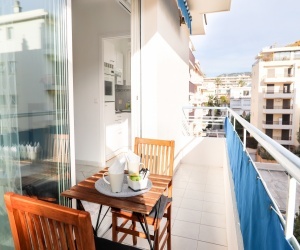 The building is situated on a cliff right in front of the Mediterranean sea which provides it an absolutely stunning view over the azure blue waters. The Oceanographic museum also has a rooftop with a restaurant which gives you a breathtaking 360 degrees view of Monaco and its surrounding waters. The building has an impressive height of 279 feet (85.04 m), and due to the complicity of the building, as well as the location for which it would sit, It took 11 years to build. Building the building in which the Oceanographic Museum of Monaco is situated in demanded 100,000 tons of stone from La Turbie. Now, the building is impressive in itself, but what really attracts tourists to this Monaco museum is, after all, what can be found inside of the building. The museum is, as the name suggests, an oceanographic museum that is home to an enormous collection of various species of sea fauna. This includes species like starfish, seahorses, turtles, jellyfish, sharks, rays, lobsters, rays, sea cucumbers, and much more. In fact, the Monaco Museum presents more than 6000 specimens that live in a reconstructed natural habitat. The species living in the aquarium are of great diversity. There are species in the coral reefs, as well as sharks in the monumental Shark Lagoon. 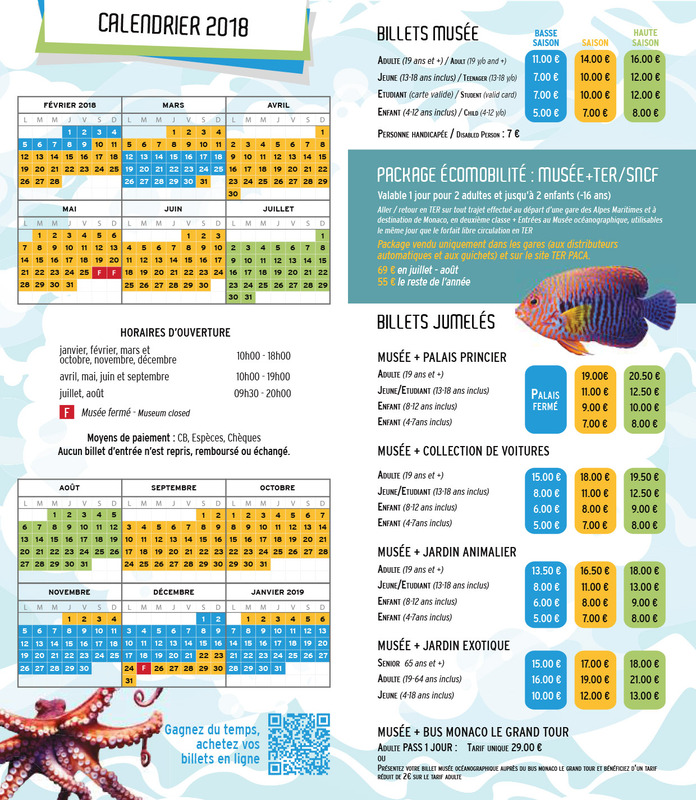 Apart from alive animals in its enormous tanks, the Monaco museum also has a large number of objects related to the sea, which includes things like sea animal skeletons (an enormous whale skeleton at the entrance), tools, weapons, and so on. In total, this impressive Monaco museum has a total of about one hundred pools, ranging in size from 100 to 450,000 liters. Apart from all the fish species, there are also more than 200 species of invertebrates and around one hundred species of hard and soft corals. You’ll also be able to find that the aquarium features a presentation of Mediterranean and tropical marine ecosystems. That’s quite impressive for a museum. What’s also impressive is that the Museum Aquarium is one of the oldest in the world, opened as early as 1903. This Monaco Museum is open every day – except for the weekend of the Formula 1 Grand Prix and on the 25th December. Translating literally to ”The big apartments of the Monaco Ville palace”, or also known as ”The State Apartments museum” this Monaco museum allows you to enter some buildings of the Prince’s palace and get an insight into the life of the Royal family in Monaco. The museum gives you the unique opportunity to enter The Palace of the Prince of Monaco, which is a private residence. The doors are only open parts of the year. The origins of the building date back to the beginning of the 13th century. This Monaco museum is highly unique due to the fact that it is the private residence of the ruling Prince. The original fortress and ramparts were built by the Genoese in 1215. Throughout history, the fortress has been transformed into one of the most luxurious residences in the world, designed in a Louis XIV style. Visits of the Prince’s Palace/State Apartments are opened from March 31st to October 14th, 2018. Visits will be closed during the Grand Prix F1: May 26th and May 27, 2018. On June 14th, visits will open at 1.00 pm instead of 10.00 am. From 10:00 am to 6:00 pm (last entrance is 5:30 pm). From 1st of July to 31st of August, the open time is 10:00 am to 7:00 pm with last entrance being 6:30 pm. June 14th, visits will open at 1:00 pm instead of 10:00 am. The State Apartments are not accessible to those in wheelchairs. Access only by stairs. In the 1990s, this Monaco museum opened to the public. Musee Naval, or Naval museum, is a naval museum which has 250 marine objects and models of famous boats and yachts. The collection also includes a number of pieces from the private collection of HSH Prince Rainier III of Monaco. If you’re a sea-lover, then this is the museum for you. It showcases everything you can imagine related to sea travel, such as full-scale Viking longboats, Spanish galleons, and much more. The naval museum was created as a result of a single man’s passion. Professor Claude Pallanca dreamed of sailing and because of his great interest for boats and sea travel, he built model ships – an interest which would eventually lead to creating the naval museum in Monaco. There are objects at this Monaco museum which dates back to ancient times, all the way to the present day. The museum is an international museum which means that it is dedicated to all navies all the way from the ancient times to the modern day era. In total, the collection includes more than 1,200 scale models and a further few hundred navy-related objects. The museum is OPEN DAILY FROM 10 AM TO 6 PM, except 1st of January and 25th of December. If you’re interested in the history of stamps and money, this Monaco museum is for you. The museum is situated in Fontvieille. the older part of Monaco. The museum tells the story of Monaco through the objects that it displays. In the museum, you’ll find a lot of things, but some very interesting objects are Monegasque money dating to 1640. In 1999, an elite philatelic club, the Club de Monte-Carlo, was established, and today, it is headquartered at the museum. On a bi-annual basis, the stamps and money museum showcases rare objects. Not only will you be able to see a bunch of interesting objects, but you’ll also be able to learn more about what was needed to print the stamps, all the way to the beginning, with ”Charles III” in 1885 to today. The museum is made up of two showrooms. In the first showroom, you’ll find Monegasque stamps that are presented in a chronological order. You’ll also be able to experience the stamping processes. The second showroom is separated for the rare stamp collection. This includes historic Sardinian and French stamps which have been used in Monaco. In that way, the stamps and showcased in the money museum are objects that have some kind of connection with Monaco. In English the New National Museum of Monaco, this Monaco museum is a contemporary art museum which is on two places: Villa Sauber and the Villa Paloma. These museums display two exhibitions annually. Villa Sauber is one of the last Belle Epoque villas in Monaco which makes this museum even more special to visit, The building is absolutely stunning, but the building is not the main attraction. The contemporary national museum of Monaco showcases the heritage of the Principality of thought art. The art showcased is both related to both Monaco and the international art scene. Both the permanent collections and changing exhibitions are worth the visit. Villa Sauber belonged to the Blanc family in the early 1900s. This is a family which played a big role in the development of the Société des Bains de Mer and the Casino de Monte-Carlo. A full price ticket gains you entry to both buildings. This prehistoric Monaco museum going by the name of ”The Museum of Prehistoric Anthropology was founded by Prince Albert I in 1902. Today, the museum showcases numerous collections of objects which have been collected and brought to the museum over a period of time more than a century. The objects showcased represent the different phases of regional prehistory and protohistory. The majority of the objects which you can see at this museum is archaeological and palaeontological finds which can be traced back to the Principality, France, and Italy. After a long series of excavations in the caves of Monaco known as the Grimaldi Caves between 1895–1902, Prince Albert I found it a necessity to gather all of the found objects in one place where they could be preserved and exhibited. In building this Monaco museum, Prince Albert I chose to place the museum in the former Government House building. In 1960, the Museum of Prehistoric Anthropology moved to a new building. The new location became the middle of the Exotic Garden. This is the place where the museum is still situated today. The objects at the museum teach us that even more than a million years ago, the French Riviera and what is today Monaco was already then a favored habitat for the people who are our ancient ancestors. Closed on 19 November (National Holiday) and 25 December. Tickets are valid for entry to the Exotic Garden, the Observatory Cave and the Museum of Prehistoric Anthropology. Workshops for children are available on request. This popular Monaco museum was inaugurated on the 20th of November 1984. The museum was inaugurated by Prince Rainier III of Monaco, the prince married to Grace Kelly, as a tribute to Princess Grace’s attachment to her Irish origins. Just a short walk from the Prince’s palace, you’ll find this Monaco museum, which is a library. The library is situated in the building of the former hôtel particulier. This was a hotel led by of Comte Félix Gastaldi, the Mayor of Monaco for 39 years. The library and Monaco museum features Princess Grace’s personal collection of Irish books, the majority of which were previously located in the bookshelves of her Palace office. Many of the Irish books which can be found in the library are of leading Irish diplomat Count Gerald Edward O’Kelly de Gallach which princess Tracy purchased in the 1970s. Since the Library was inaugurated around twelve thousand books have been acquired or donated. This museum exhibits the legacy of one of Europe’s most prolific art dealer after the decision of his daughter. It is the woman Anette Birch who is the daughter of the Danish Borge Birch who was honored by the French government for his significant contribution to modern art in France who has chosen to exhibit her father’s legacy. Just recently, the doors to the Galerie Birch Monaco was opened, which welcomes Monegasque residents and friends. The art gallery is run by Anette and her daughter, Caroline. The gallery and Monaco museum is situated in the heart of Monaco, just a few minutes away from the Prince’s Palace. The gallery showcases artwork from a number of different artists, including Egill Jacobsen, Pierre Alechinsky and Carl-Henning Pedersen, and more. One might say that it is a mixture between a museum and a gallery, but if you are interested in art, this is a great place to visit. This museum is all about Monaco’s history and heritage. The museum of old Monaco, or in French Musée du Vieux Monaco is one of the Monaco museums which you should definitely visit. The museum showcases everything you can imagine which reflects Monaco’s heritage, from paintings to furniture, ceramics, costumes, and much more. The museum is open free of charge on Wednesdays and Fridays from 11 am to 4 pm between June and September. The sculpture path is a path that you can walk where, along the way, it is dotted with almost 100 sculptures about the principality. In that way, the sculpture path is almost a mixture of a museum and exhibition -outside. The sculptures can be found in parks, gardens, streets, and pathways. If you want to explore a concentrated area of sculptures, go to the Fontvieille district. This part of Monaco has been pedestrianized, and it is also where the majority of the sculptures are placed. This is a perfect path to walk if you are interested in art. A Look at Streets of Monaco, the World’s Most Absurd Yacht. … Modelled after the “gardens just outside the Monaco Casino,” the garish room features a central waterfall feature, a giant jacuzzi, and walls of arched windows.